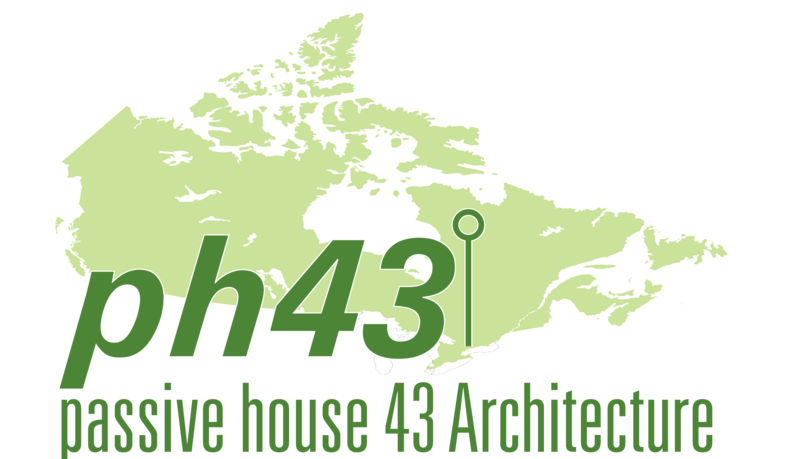 Passive House 43 Architecture is a practice focused on delivering energy-efficient, comfortable, sustainable buildings in a collaborative atmosphere. ph43 specializes in the Passive House methodology to optimize building envelopes and equipment for performance and economy. Here at ph43 I use the PHPP (Passive House Planning Package), as well as other energy modelling tools to assist in optimizing the design. As a sole practitioner, I take on a limited number of projects to ensure that I can provide my clients with the best service I can achieve. I will work closely with you from the outset of the project until your building is occupied to create, renovate, or retrofit the energy-efficient home of your dreams! My intention in forming ph43 was to align my desires as an architect to change the impact our built environment has on our natural world. I truly believe we can marry beauty with efficiency. That we can build to a higher standard of performance at an affordable cost. That we can be responsible stewards of our land and resources to leave future generations with an abundance of both. If you have some of the same thoughts, or would like to know more about about Passive House, please feel free to give me a call! I’m always excited to discuss the advantages of a Passive Home with anyone! Until then, Keep it Passive!